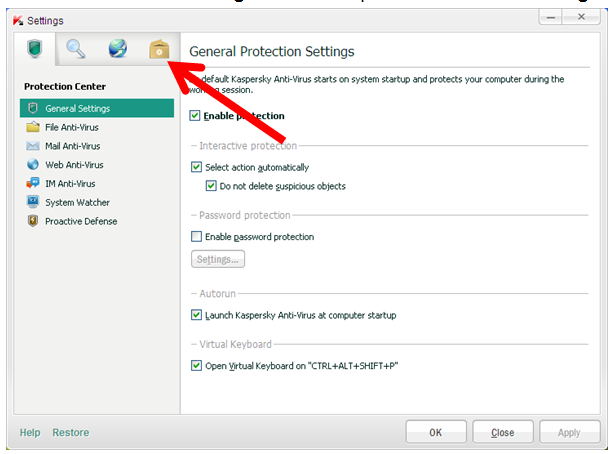 Q: I have Kaspersky Anti-Virus on my computer and am having difficulty syncing my device. 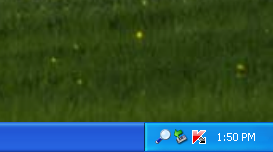 What might be causing this problem? 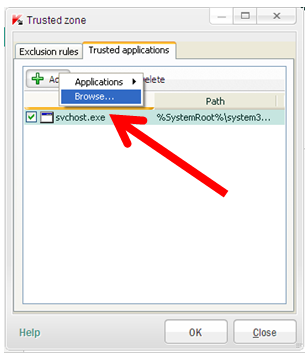 A: If you have Kaspersky Security on your computer, you will need to add exceptions to your security software so it will not interfere with the LeapPad, LeapPad2, LeapPad3, LeapPad Ultra, LeapPad Platinum, Leapster Explorer or LeapsterGS Explorer. 1. 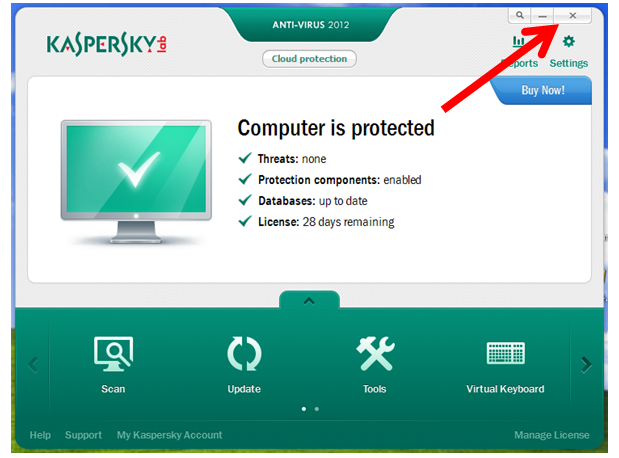 Open Kaspersky Anti-Virus. 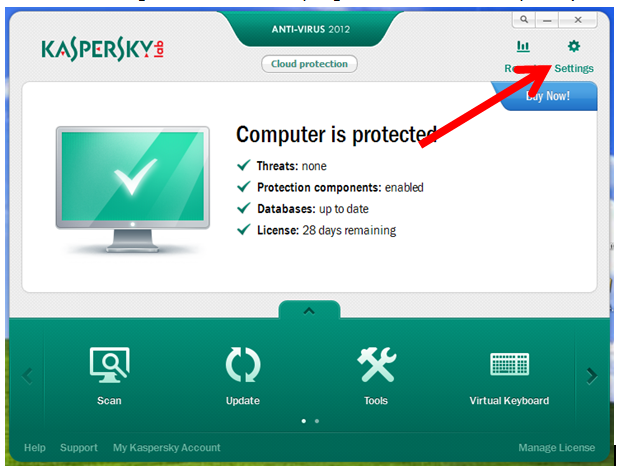 You can find the Kaspersky icon located in the bottom right hand corner of your desktop, or open it from your programs menu. 3. 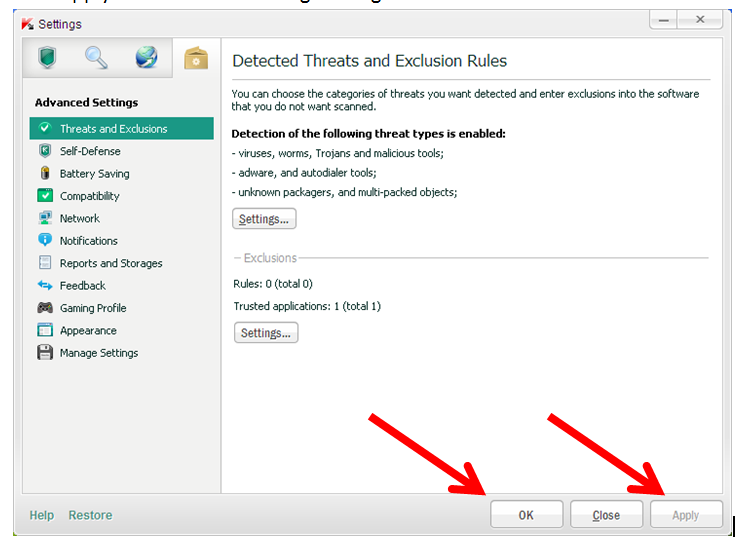 Click on the folder with a gear on it to open the Advanced Settings options. 4. 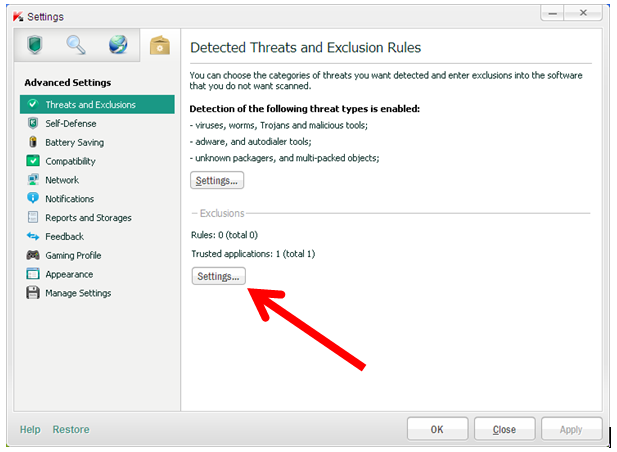 On the right side click the “Settings…” button located under the subheading “Exclusions”. 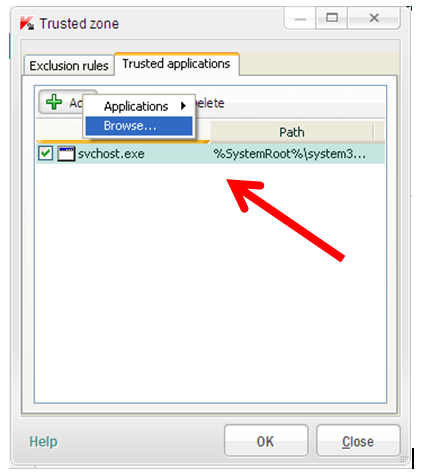 This will open the Trusted Zones Dialog. 5. 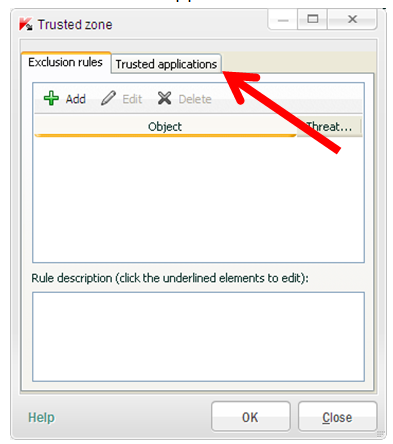 Click the Trusted applications tab. 6. 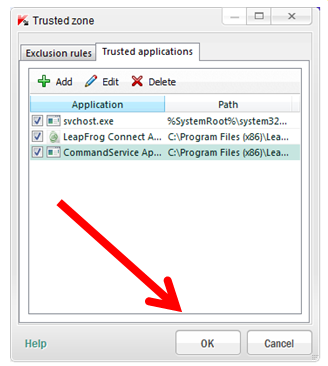 You will need to add two files to the trusted applications. 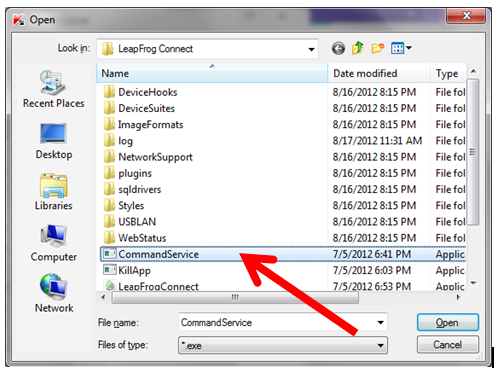 LeapFrogConnect.exe and CommandService.exe. Follow the instructions below to add the files. 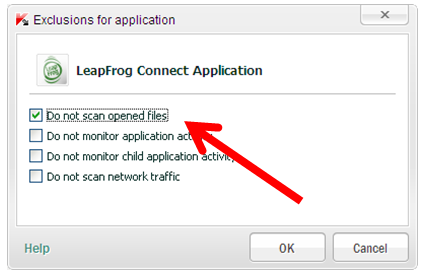 d. Click the Add button and select Browse one more time and navigate to the LeapFrog Connect folder. 11. 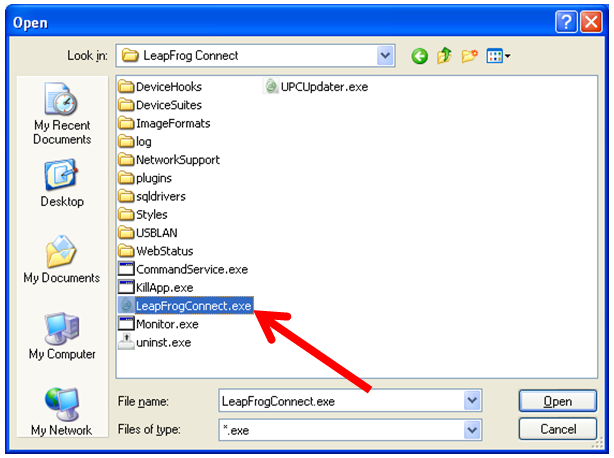 Kapersky Anti-Virus is now configured for LeapFrog Connect to communicate with your device! 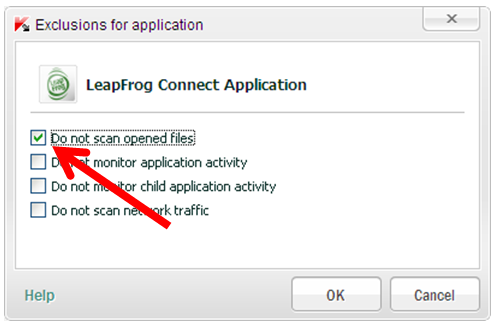 Relaunch LeapFrog Connect and re-connect your device.